I'm too busy this week to remind readers that I told you so... instead, I'll simply point out a link to an oldie, but goodie from early July of 2008. Enjoy. And in case you aren't panicked enough... here is a link to an article about what happens to charities when the bank they use goes bust. Don't think this isn't happening already. If you haven't reviewed FDIC rules on your nonprofit's (and affiliate's) bank account you are gmabling with your donor's money. Next week might be too late. This is a good Q&A from a treasurer for a local Habitat for Humanity group on FDIC rules regarding their affiliate accounts. It's been six weeks since Bruce E. Ivins, the alledged anthrax suspect, killed himself. However, his cremated remains are still stored at a funeral home in Maryland awaiting bizarre probate proceedings. In a will he wrote last year, a few months before the Federal Bureau of Investigation focused the anthrax letters investigation on him, Dr. Ivins wrote of his wish to be cremated and have his ashes scattered. But fearing that his wife, Diane, and their two children might not honor the request, he came up with a novel way to enforce his demand: threatening to make a bequest to an organization he knew his wife opposed, Planned Parenthood. “If my remains are not cremated and my ashes are not scattered or spread on the ground, I give to Planned Parenthood of Maryland” $50,000, Dr. Ivins wrote in the will. Court records value the estate at $143,000. Ms. Ivins is a former president of Frederick County Right to Life, according to F.B.I. records. Bruce Ivins played keyboards at a Catholic church in Frederick and described himself in e-mail messages as “pro-life,” but he was not an anti-abortion activist, said his lawyer, Paul F. Kemp. Ms. Ivins declined to comment, Mr. Kemp said. I'm not sure if I've ever heard of a donor who uses his/her will to encourage action by threatening to make a donation to a group that the surviving heirs hated. A doctor with McCain's medical charity who supplied her with prescriptions for the drugs lost his license and never practiced again. The charity, the American Voluntary Medical Team, eventually had to be closed in the wake of the controversy. Her husband was forced to admit publicly that he was absent much of the time she was having problems and was not aware of them. "So many lives were damaged by this," said Jeanette Johnson, whose husband, John Max Johnson, surrendered his medical license. "A lot of good people. Doctors who volunteered their time. My husband. I cannot begin to tell you how painful it was. We moved far away to start over." McCain's addiction also embroiled her with one of her charity's former employees, Tom Gosinski, who reported her drug use to the DEA and provided prosecutors with a contemporaneous journal that detailed the effects of her drug problems. But if you still think my outrage is over the line.. please... keep emailing me. If you don't know how the new Schedule G from the newly revised IRS Form 990 will effect your organization's fundraising reporting, you can now listen to a podcast with Geoffrey Peters, president of Creative Direct Response, who recently provided very useful information on how to get your organization ready to fill out the schedule. Geoffrey Peters, a fundraiser and lawyer, is a noted legal expert on the regulation of nonprofits and their fundraisers. Download his complete bio. Go to the Foundation Center to listen to the podcast. 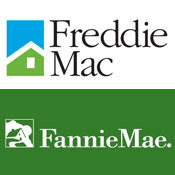 A lot of people are being hurt by the collapse of Freddie Mac and Fannie Mae. As a fundraiser, I can't help but focus on the philanthropic implications. During a press conference describing the takeover, the government said it "will review the charitable activities." By its account, Freddie Mac, along with its foundation, has invested more than $348 million in the community to date. Last year its annual Hoops for the Homeless campaign, a celebrity-studded basketball tournament to fight family homelessness, raised $900,000 for six local nonprofits that included Hannah House and So Others Might Eat. Last year Fannie Mae dissolved its foundation -- an organization that has put more than $1 billion into education, affordable housing, education and economic development programs since 1979. The company said its philanthropic activities would be handled in-house, and it continued to give to local organization and initiatives. Among its 2007 programs, the company pledged $10 million to improve infrastructure in D.C. schools and $1 million in grants to help revitalize D.C. neighborhoods. Its annual Help the Homeless walkathon raised more than $7 million last year to support 175 local homeless service providers, such as Reston Interfaith, last year." Some of you may remember that the embattled mortgage giants came under fire this past summer for making sizeable contributions to Jesse Jackson's Rainbow/PUSH Coalition and Citizenship Education Fund Annual Conference. Combined these guys also gave almost $2 million in contributions to politicians during the 2006 election cycle. I mean... Freddie Mac was recognized by the Washington Business Journal and Greater D.C. Cares as the top corporate philanthropist in the Washington region. Do you understand how big this is? A fellow fundraiser once told me that the only news worse than hearing that a major donor has been indicted is that a major donor has declared bankruptcy. Trust me. I have experience with this one... it's not always easy making a bankrupt corporate donor make good on a charitable pledge. Alaska Gov. Sarah Palin will appear at around 30 fund-raising events in the next two months leading up to Election Day – about one every two days on average, officials with Sen. John McCain’s presidential campaign said today. Yet, no announcements on whether or not she ever plans to answers questions during a press conference. Did she really steal drugs from her own charity? Cindy McCain looked so nice in her speech at the GOP convention tonight. It's hard to believe they featured the story of how she started her own nonprofit called the American Voluntary Medical Team, but they left out the part of the story where she was investigated by the DEA for stealing drugs to feed her addiction to prescription painkillers. I believe she wore red that day. She granted semi-exclusive interviews to one TV station and three daily newspaper reporters in Arizona, tearfully recalling her addiction, which came about after painful back and knee problems and was exacerbated by the stress of the Keating Five banking scandal that had ensnared her husband. To make matters worse, McCain admitted, she had stolen the drugs from the American Voluntary Medical Team, her own charity, and had been investigated by the Drug Enforcement Administration. "She was blonde and beautiful. A rich man's daughter who became a politically powerful man's wife. She had it all, including an insidious addiction to drugs that sapped the beauty from her life like a spider on a butterfly." Hmmm. But that's old news, right? You gotta hand it to Jerry Lewis. The "freewheeling 82-year-old showman" co-hosted the 22-hour telethon yesterday that raised a record $65 million for the Muscular Dystrophy Association's annual Labor Day event. Despite the sluggish economy, the 43rd annual fundraising blitz was $1.2 million more than last year's total. Even more impressive... the host also urged viewers to contribute to the Salvation Army's emergency disaster services because of the threats from Hurricane Gustav.